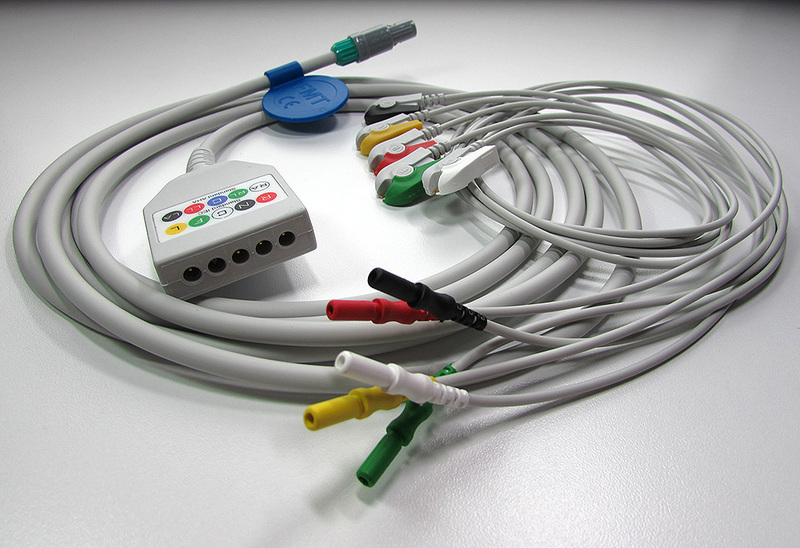 • FMT patient monitoring ECG cables are designed for measuring ECG and impedance respiration in adult and pediatric patients. 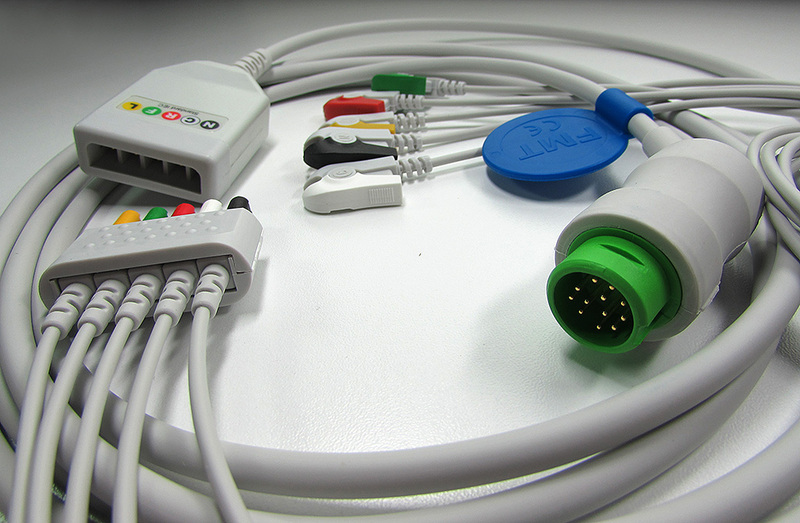 FMT patient ECG cables family includes E-200, E-201, E-202, E-204, E-205, E-206, E207 and E-208 series. • All of the leads are clearly identified by color code and inerasable, embossed plastics location designator. 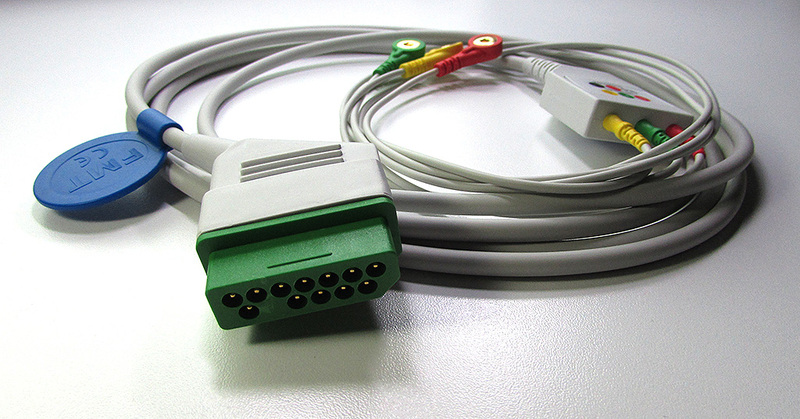 To ensure correct application of the electrodes, their positions and color codes are indicated on the trunk cable yoke. 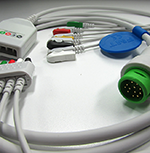 FMT ECG cables are color coded and imprinted in either IEC or AHA protocols. • Specially designed, fully shielded low noise cable minimizes electrical noise and interface to provide maximum signal quality. For additional signal protection cable yoke is also shielded. 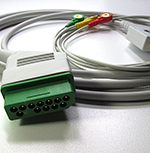 • Specially designed, polyurethane jacketed yoke and lead cables, flexible bend reliefs at the connector and cable yoke provide extra durability and extend product life. Inner conductors of the cables are Kevlar filled tinned tinsel for strength and durability. 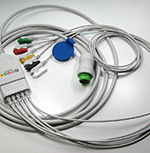 • FMT patient monitoring ECG cables use all medical grade polyurethane, Santroprene, Polypropylene and ABS components. No LATEX. No PVC to maximize patient safety and comfort by minimizing the risk of bio-compatibility problems. 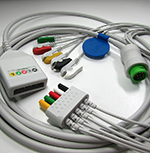 • FMT patient monitoring ECG cables can be supplied with or without resistors. 1.0 kΩ and 4.7 kΩ resistor options available. Resistors for defibrillation protection are safely housed in the cable yoke. Lead wires terminated to snap or grabber. 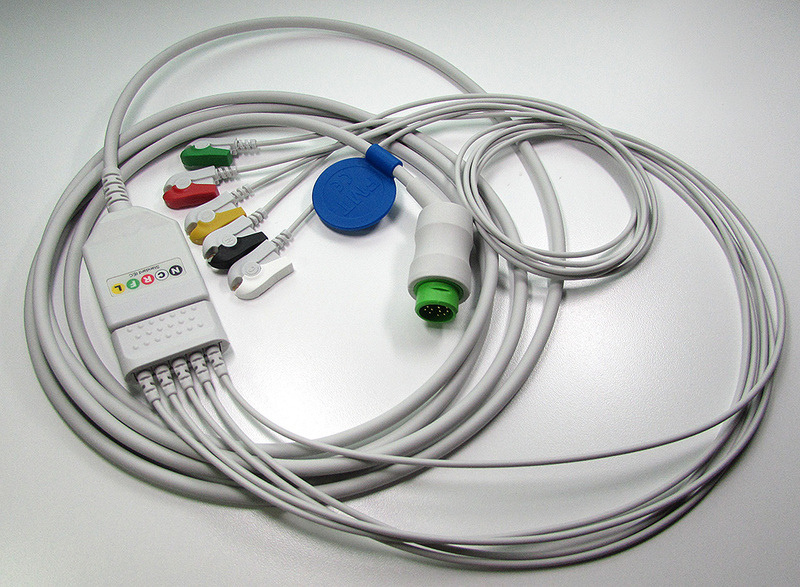 • The wide range of available connectors make FMT patient monitoring ECG cables compatible with most of the patient monitors in the market. 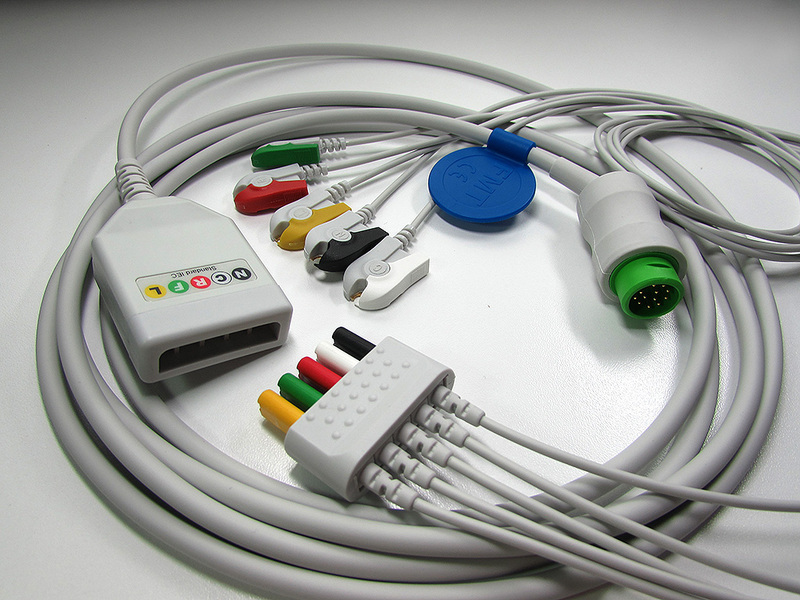 • FMT patient monitoring ECG cables have part, lot and serial numbers to ensure equipment compatibility and product traceability. • All FMT Products meet the requirements of the MDD 93/42/EEC&MDD 2007/47/EC and CE marked. 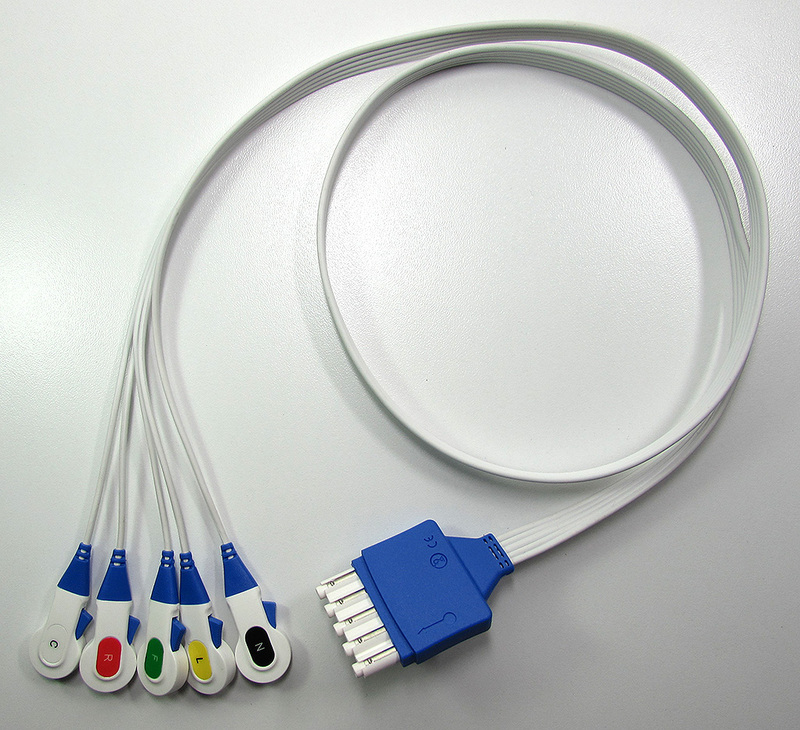 • FMT disposable ECG lead wires for single patient use offer a cost-effective, disposable ECG monitoring solution to add to your hospital’s infection control program. The product helps to reduce the risk of cross contamination between patients. 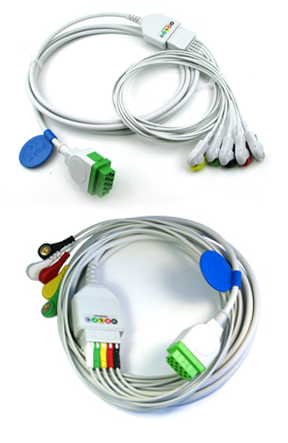 • Compatible, FMT disposable ECG lead wires can be used with reusable trunk cables. 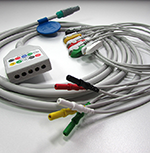 The direct connect system allows hospitals to use disposable and reusable lead wires interchangeably. • FMT disposable ECG leadwires do not require adaptors which are often misplaced or accidentally discarded. • Fully shielded system reduces the risk of electromagnetic interference. 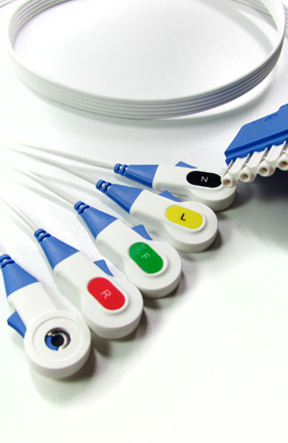 • FMT disposable ECG lead wires are color coded and marked for single patient use. Its unique light blue color helps to distinguish it from other reusable cable. • FMT disposable ECG lead wires are not for use in MRI equipment. • FMT disposable ECG lead wires are Latex free.